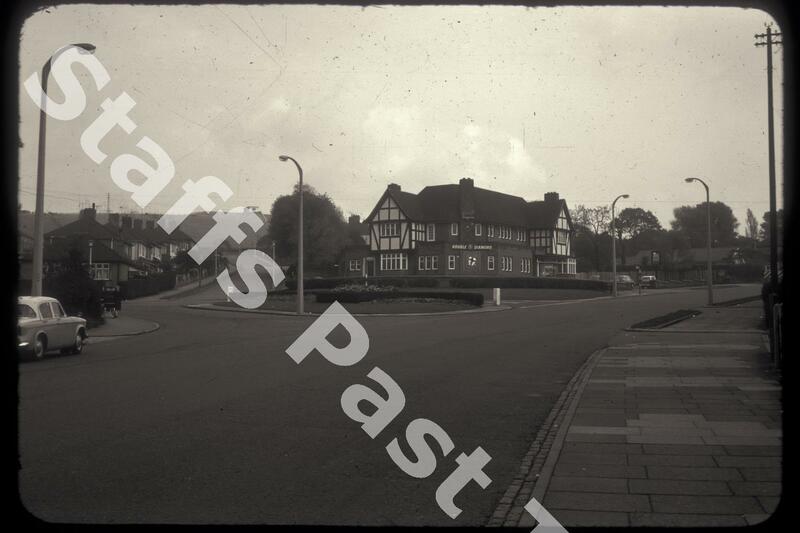 Description:Opened as the Werrington Hotel in 1939, later becoming the Pig and Whistle before being renamed The Werrington, this Ind Coope public house was demolished in the 1990s. 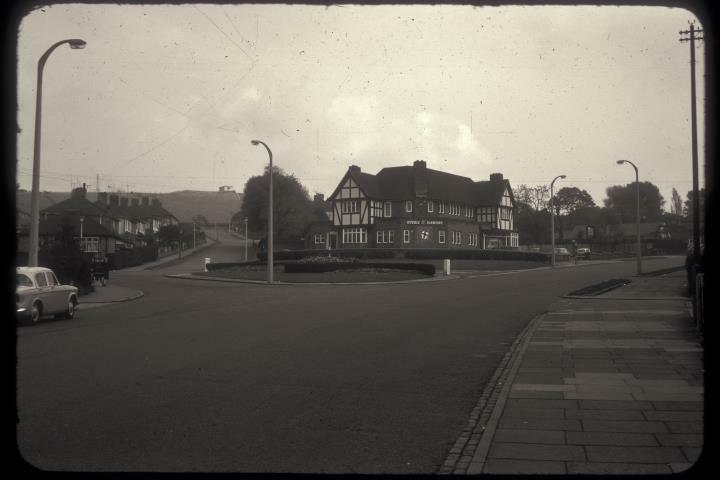 To the left is Eaves Lane with Werrington Road to the right. The site of the hotel is now housing. Behind and to the left is Bucknall covered reservoir at the top of the hill.